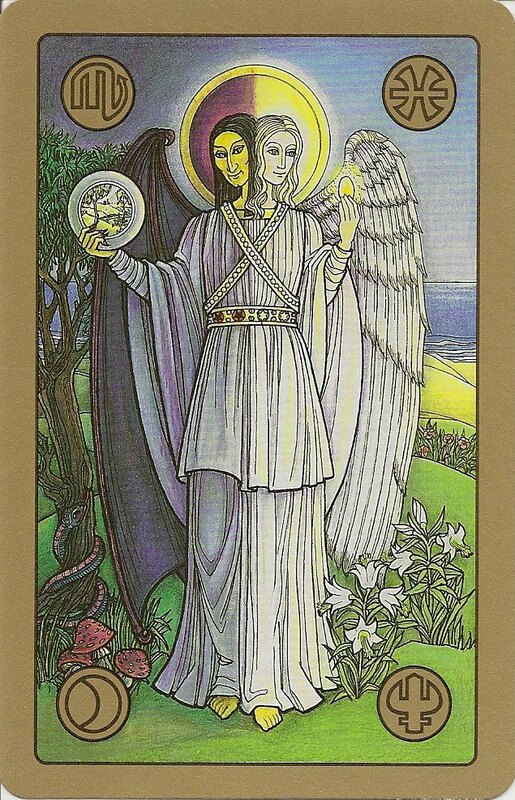 The Symbolon is not a Tarot deck. 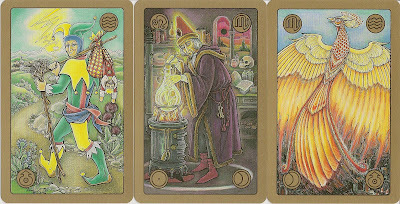 There are a number of cards that bear a resemblance to particular cards of the Tarot. 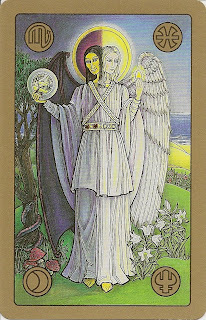 But even though there are 78 cards in the Symbolon deck, it's still not a deck of Tarot cards. 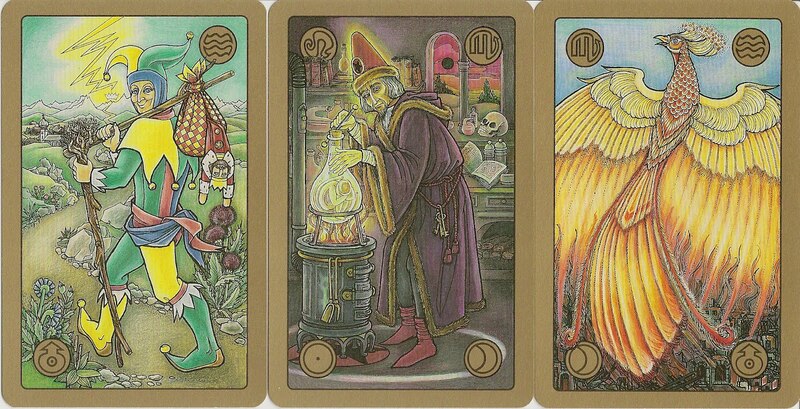 There are no major and minor arcana cards; there are no court cards, nor are there the traditional pip cards you see in Tarot that are numbered from Ace to Ten. In fact, these cards have no numbering, titles, or labels on them at all.